District heating is a natural heating method for urban areas. It keeps the environment clean and increases quality of life for residents. District heating saves energy and the environment. The Finnish GST substations have been designed to deliver district heat to both small and large properties. 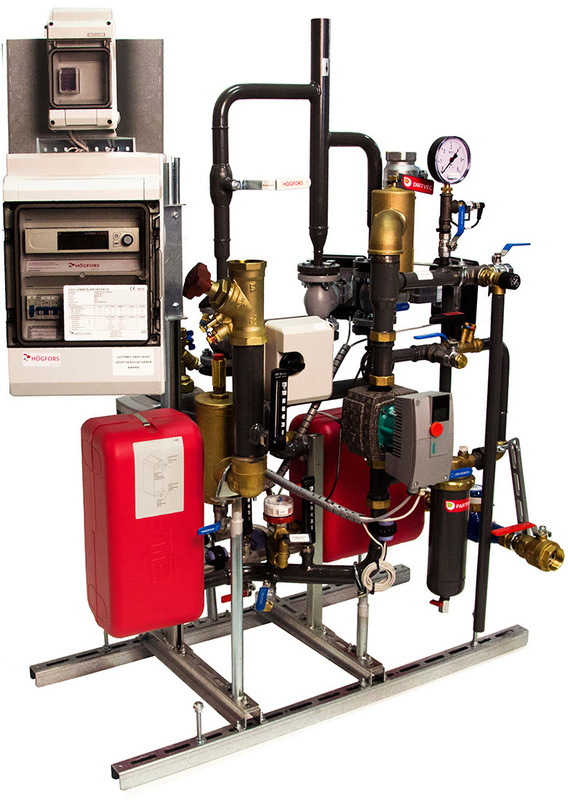 District heating is an easy and hassle-free heating method for end users. The GST substations are easy to use, and equally suitable for new construction and renovation work. GST substations ensure an even and comfortable temperature and sufficient domestic hot water. Your GST substation has always competitive warranty. Exact terms of warranty are market based, fulfilling however all area requirements and standards. For example in Finland GST substation’s heat exchangers have a five-year warranty, pipework and other components in substation have two-year warranty in district heating use. All terms are stated in HögforsGST warranty conditions. On the other hand a short delivery time is an important part of our operations minimising project time and ensuring smooth installations and start-ups. For more info, please contact HögforsGST.